At Kilter Termite and Pest Control, we understand that rodent infestations can be extremely distressing to homeowners in Newport Beach, California. Rodents can spread diseases and, in only a small amount of time, their urine and droppings can create an unsanitary environment that isn’t suitable for living and raising a family. With this in mind, we take our job of efficient rodent removal very seriously. When you contact us, we’ll begin by promptly sending a trained and experienced technician to provide a free inspection of your home. We’ll identify entry points, infestation sites, and other critical information that we can use to eliminate your infestation. Then, we’ll provide you with a proposal and estimate. If you decide to use our services, our technicians will get to work sealing all entry points and using the proven effective RO-DEX system to trap rodents in your home. We’ll continue to visit your home to remove rodents and bait new traps until we are certain the infestation is eliminated. Upon the conclusion of our services, we’ll provide you with peace of mind by extending an industry-leading two-year warranty. Another benefit of choosing Kilter for rodent removal is that we’ll help restore sanitary conditions as we work in your home. 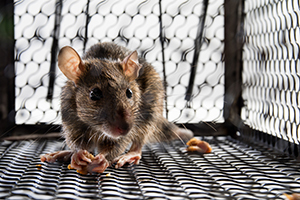 We can even remove insulation that rats and mice have nested in with specialized pest control insulation to keep your home free of future infestations. Contact Kilter Termite and Pest Control today to learn more about the rodent removal services we offer in Newport Beach, CA.